This was something I wanted to savor and remember til my next visit! My friends and I already like to take pictures of our food and share them but during this trip I decided to use an app designed specifically for documenting and remembering your meals, the Evernote Food App. I use Evernote Food to help me remember meals and all the details that go with it – what I ordered, where I was, who I was with. It had been five years since I’d visited Rome but I still had visions of the pizza (thin crust with mushrooms, pancetta, and a fried egg! ), the gelato (dark chocolate orange! ), the pasta (ravioli with red sauce, fettuccine with cream sauce and peas!). I vaguely remembered where it was but I had no official record of the name or addresses of any of these places. Evernote Food now gives me an easy way to remember the restaurant name and address for my future visits or for giving recommendations to friends. Evernote Food also helps me organize and search all of my past meals. For example, what was that amazing wine we had with that pasta? I can search by tags (“red wine” or “pasta”) and it will search all of my entries and photos and bring up those photos or meals that match. In Evernote Food, you create a “Meal”. 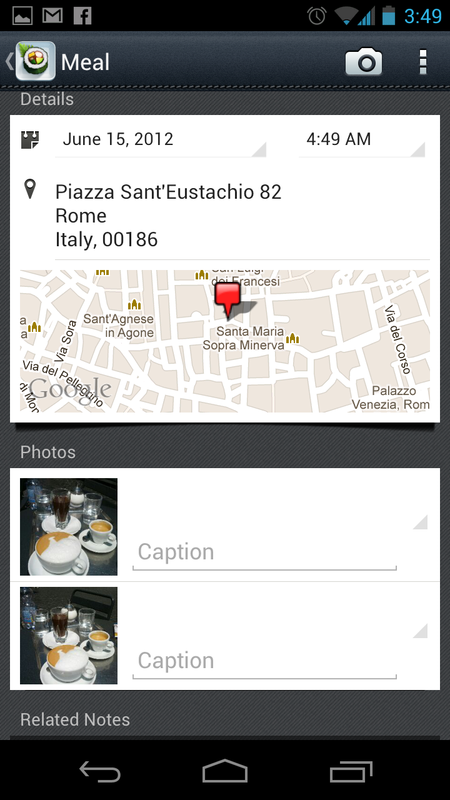 You can give the meal a title, add photos and captions, add the venue, and create notes and tags. And it’s easy to share the meal with your companions or friends via email, Twitter, Facebook, or Google+. 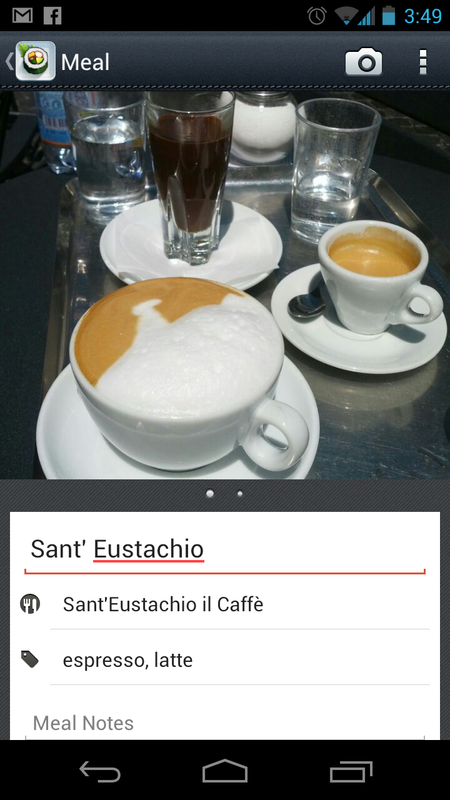 download the Evernote Food app on your iPhone or Android and snap away! Evernote Food is one of many products by Evernote, a platform that helps you remember everything. You can take notes, clip articles or images from the web, and add things from your phone or desktop. More on Evernote in a future post! Finally, my favorite thing about Rome is that you can see and feel how much Romans LOVE their city. And, most importantly they really want you, as a visitor, to love it too. I also think this is yet another thing Rome has in common with New Orleans. 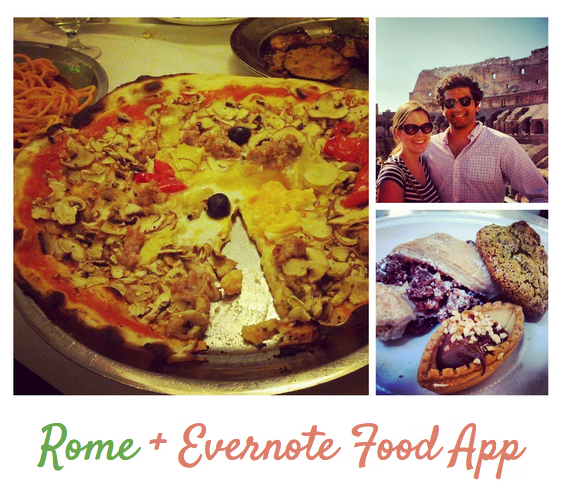 And what better way to capture that feeling and pass it along my using your Evernote Food app? Yum!